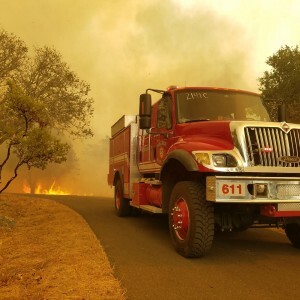 Tiburon Fire Protection District is a combination department with 21 career safety employees, one clerical and one finance officer, 13 volunteer firefighters, and 6 trainee firefighters. 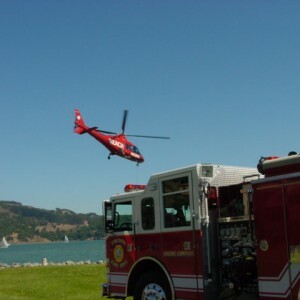 Protecting the town of Tiburon and the city of Belvedere, California and the surrounding area, the Fire District’s boundaries represent a diverse community with responsibility for commercial, residential, wildland/urban interface, and parts of the San Francisco Bay to Angel Island State Park. 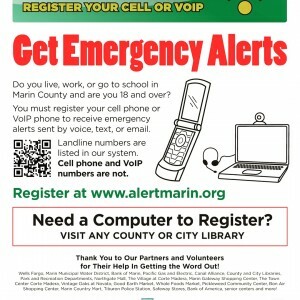 Register with Alert Marin today! Please support the Tiburon Volunteer Fire Department by coming to the fire station at 1679 Tiburon Blvd. 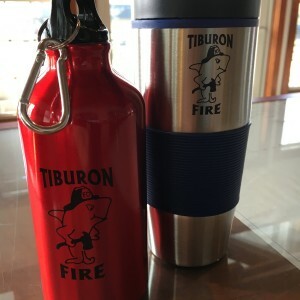 to purchase your traveler mug and water bottle for $10 each!